It's a One Year Blogiversary and a Popsugar Must Have Box Giveaway! 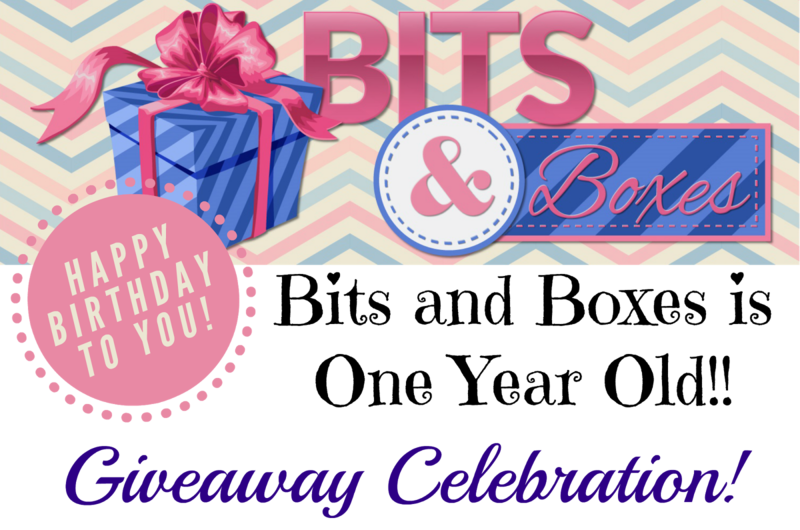 Bits and Boxes is turning one year old! I had no idea when I started this blog that anyone would even read it. I just was thinking it was a fun way to document my new subscription boxes and maybe get a few views or comments every once in awhile. Instead, I've found great friends, fun readers and even more subscription boxes. I'm not complaining either. Those are all wonderful things! All your views, comments and friendships have made this so much fun I just can't stop doing it. I've had fun sharing my Korean beauty exploits with Memebox, showing off my snacking habits with Love With Food and OrangeGlad, prettying up my home with goodies from Popsugar and prancing in front of the TV with Fabfitfun workout DVDs! I feel like I'm generally a pretty relaxed, no nonsense type of reviewer. I like getting a good deal and I love getting good skincare. I am honest with a slight hint of riduculaise, I'm terrible with makeup but that doesn't stop me from using it or trying the smokey eye over and over with predictably awful results. I still like socks, the fuzzier the better and I'll never say no to a good fantasy/science fiction book and a mug of tea. I like to say I robbed the cradle when I married a handsome guy five years younger than myself. He doesn't mind. He said that was okay, he robbed the grave. Haha!! I'm 37 and while we have no children, we do have two rat terriers who are lavished with subscription boxes of their own. I have a garden that I've spent laborious hours in and am very proud of even though it's not looking quite like I want it to. I have cool, combination skin with pink undertones. I've got issues with redness that I'm working on fixing with my forays into skincare. My hair is stick straight, long and quite thin. I hate getting hair product in my boxes but I'm realizing volumizing sprays can work wonders. Dry shampoo hates me, no matter what I try. I like to dye my hair dark shades of red and royal blue might be my favorite color. I love subscription boxes and trying new things I find inside of them. I'm an enabling type and love to get coupons to give everyone a deal on things I think are pretty great. I'm an amateur ingredient fiend especially since I have an allergy to lavender so I'm constantly analyzing the products I receive. You'll find that I get really excited when I find something new with ingredients scientifically proven to have benefits. But enough about me!! I have a present for YOU! In honor of my love for Popsugar, I am giving away TWO Popsugar boxes!! One winner will receive the March 2015 Box (unless it sells out, then you'll get April). Value: $40 UPDATE: March has sold out so now you'll get the April box! Waaah!! Who can wait that long?! One winner will receive the FEBRUARY 2015 Popsugar box! I got an extra one just for this purpose! Value: $40 You can see the contents of the February box in my post here. There will be two winners chosen and the boxes will randomly be awarded. This particular giveaway is only available to the USA but International Readers keep watch for an upcoming giveaway that will include International shipping! Void where prohibited. This giveaway is sponsored solely by Bits and Boxes. Be responsible when entering; all entries will be verified. Please do not use giveaway accounts. Giveaway starts Mon, Feb 22 at 9am and ends March 5th at 11:59pm PST. Unfortunately, I cannot be responsible for prizes getting lost in the mail but I will be really sad if that happens. Winner must respond within 36 hours or a new winner will be chosen. Winner must be willing to provide full name and shipping address in order to receive their prize. Rules are subject to change without notice if I forgot something. I would choose the February Box because of Tarte blush as I can't get hold of otherwise :) Thanks. This is such a nice idea! I've been reading your blog for a while now - happy anniversary! If I were to win, I'd love the February box. I would take either box!!! That makes it super easy! I love popsugar so either box would be great! Congrats on your one year. I would be happy with any box. Since I don't subscribe to that box any would be new to me. Thanks for the opportunity. Keep up the great work. I love your blog and sometimes your comments crack me up!! I'd want the March box! Feb looks good, but I do love that surprise factor, as someone mentioned above. The March Box! Thank for the giveaway! The blush is so pretty, too! Good luck! Happy 1st Birthday!! One year has gone by so quickly! And cheers to you for liking royal blue...that's one of my wedding colors. Great minds think alike ;) I do like cheese and I could use a new cutting board, but I think I'd rather set my sights on March because I love citrus smell- (and do-)goodies! I love following your blog and Instagram posts! One of the main reasons why I got so addicted to beauty subscriptions lol. I would love March's box for the surprise factor! Uh oh! That's the enabler in me... I try to get her to shut up sometimes but no luck. :D Thanks for following! CONGRATS! hmmm...It would be a tough choice...can't you just do it for me...lol! The feb box was awesome but I would love to see whats in the March one! Both theme for each box looks good but i would like the march box more, plus its fun not knowing what you will get. And congratulation on your blog! You got me hooked up already in subscribing some. Both are fantastic who can choose?? I'm so glad to hear that! There are lots of people desperate to get off of that list! Did you like this month's box?? Congrats on one year of blogging! I love reading your blog. I would choose the March box if I won. While February's box was adorable, I'd have to choose March. Thanks so much for a great, honest, review blog and a fantastic giveaway! Congrats on hitting 1 Year! Yet another reason you deserve goodie boxes! I'd love the March box because I don't know what's in it and it's my birthday month! The Feb box, because I just subscribed for the March box! Woohoo!!! Popsugar is my top box so I'm happy you subscribed! I hope you love everything in the March box. I'm pretty excited about it! Happy Anniversary! I would love the February box! I'd be thrilled with either one. If I had my choice, I'd pick February. I thought it was one of PS's best ever monthly boxes! Loved the cutting board especially - it would make a cute gift. Congrats on one year - best wishes for many more ahead! I love February's box! It was by far their best February box to date. Haha! Didn't last years have... Dial body wash? Or was that March... I remember everyone was so mad about that but I actually liked it! Happy Blog Anniversary! I would love to win either February or March.. I've been dying to try PopSugar for some time now.. and would appreciate either one. Thanks.. fingers crossed. What a Great Anniversary Milestone! The one year is always the coolest because it's when you realize you did it in making the blog cool enough to keep going!! Congrats! I'd definitely; choose the March box, I love surprises!!... Ohh I'd like to invite you to follow my new Nail page on Facebook. i'm not sure. Wait I'll pick both boxes. I would love either box. I would love to try the tarte blush in the February box, but who knows what's in March! Congrats on 1 year!! I just moved out of the US but have a US address I would use if I won (it's my friend's- she forwards my purchases to me). Is that ok? If not, then please delete my entries. I keep drooling over the jerky box cause I love jerky!! I would choose the March box for the giveaway. That you so much! March is my choice but I would love either one. Great job on the blog. Thanks for the opportunity. They both look amazing I would love to win either one! Oh, crumb! I have to choose? I would likely choose March because I love the surprise element, but the Tarte blush in February is awesome. Hmmmm....March wins, I think! Congrats on your blog. Either would do. I would love the February Box. So glad I stumbled upon your blog - love it!